I am still alive!! I survived San Francisco, but have got home to find myself jobless and computerless, but more happily, engaged. 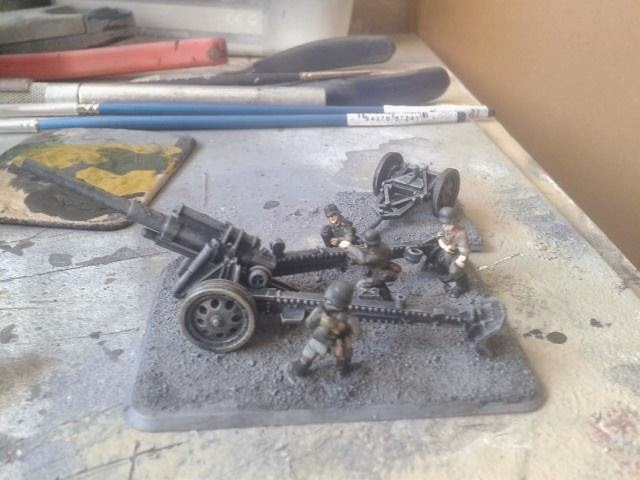 Normal service will be resumed as soon as it arrives, but until then here's a picture of a German 15cm sFH 18 for Stalingrad. It's a crappy picture from my mobile and not finished, but there is more to come! Thanks Stanley, it's not finished just yet though! Thanks Paul, I popped the question in Yosemite national park, very romantic! Yeah, the job business is a bit of a bind, but not unexpected. I'll get sorted soon! Thank you Tony! I popped the question whilst we were in Yosemite national park!